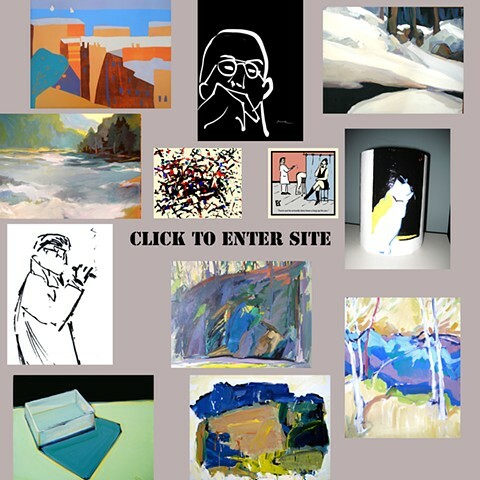 My work over the past thirty years has encompassed landscape, still life, figure and portrait, abstraction, drawing, and more recently digital work and cartooning. It has varied in size from eight inches to eight feet. What underlies my thinking process is an interest in space, a looseness in approach, and a sense of structure and geometry.